Happy June! It’s birthday month around these parts (3 out of 4 of my boys plus my husband have June bdays), so I plan on featuring some fun birthday ideas this month. My two oldest boys have birthdays 2 days apart. Both were very into Legos last year so we did a Lego birthday party for each of them. One party was Friday night, the other was Saturday morning. Same party, but we did it twice. Here are some of my ideas from that party. And by the way, when I throw a party my things never turn out quite as lovely as all those images you see of fancy parties on the internet. But you know what? The kids still like it. Here’s my best shot. That was my first time using fondant and it went pretty well. 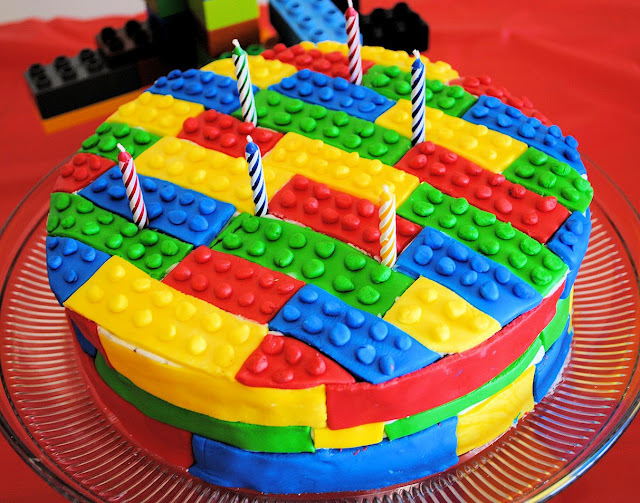 I just used a marshmallow fondant recipe and colored it in red, green, yellow and blue and then cut it into strips and put them all over the cake to look like Legos. Pretty cool but let me just say that rolling all those tiny balls took forever and we had to do it twice since we had 2 cakes. 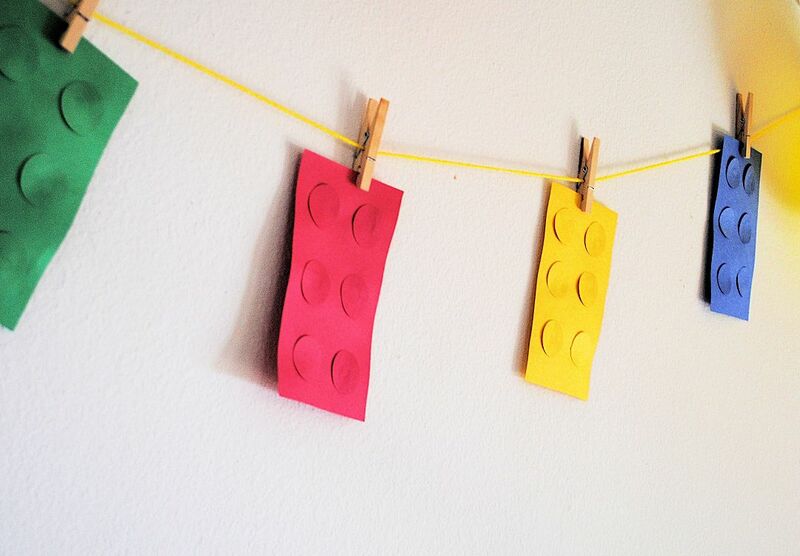 I stuck with a red, blue, green and yellow theme since those are the classic Lego colors. I got a red tablecloth and the cups, plates, napkins and forks were in those colors as well. To hold the forks at the table? My 6 year old made a Lego holder. 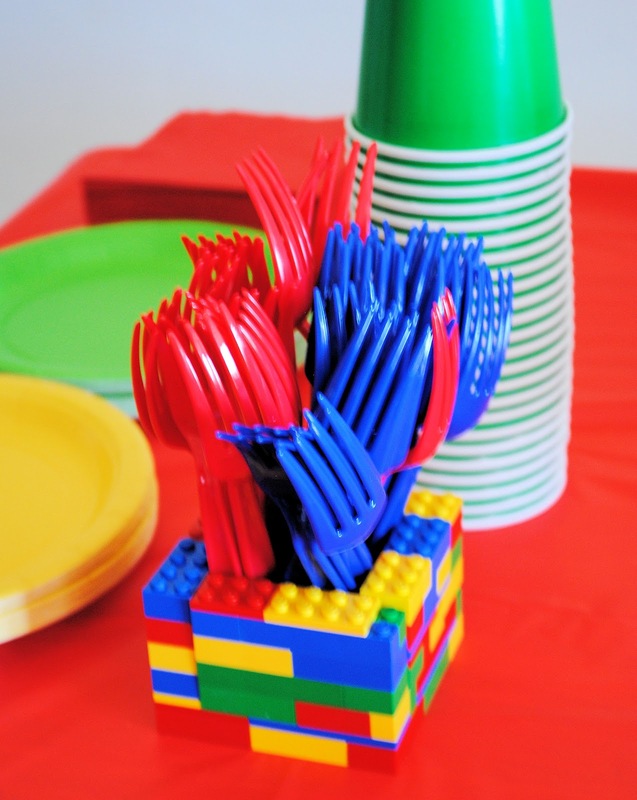 My boys also made other Lego creations to decorate the table. 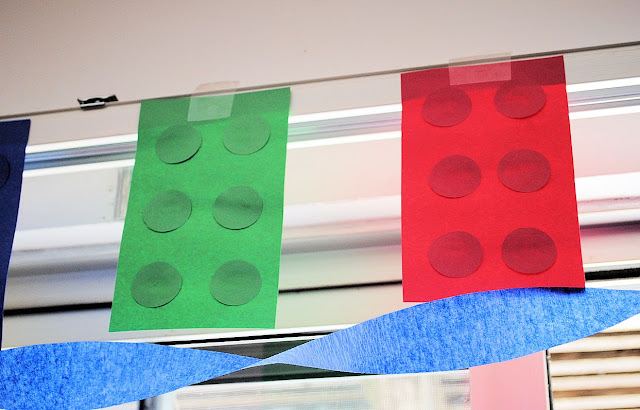 For more decorations I just cut out rectangles and glued circles on the to look like Legos and strung them up in several places. I also used red, yellow, green and blue balloons. Inside the favor bags I had these. You can buy Lego candy at those candy stores in the mall or on Amazon. So cute and so perfect! Here’s a Lego Birthday Party Favors Printable that I used. Print it out and you can use it too! I also printed out some Lego coloring pages and made them into a small coloring book. 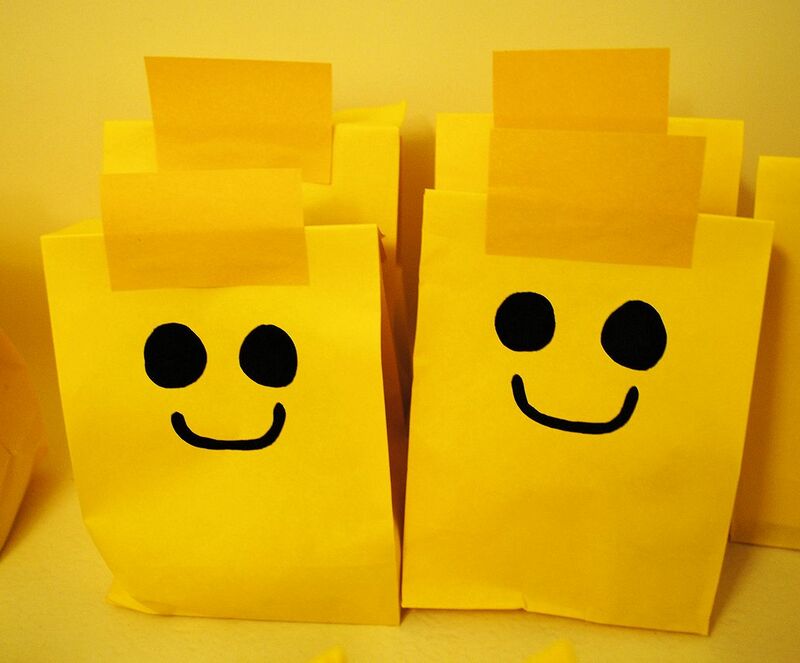 I had a few other things in the bag that I covered with homemade Lego stickers, but I didn’t get pictures! We also did a pinata that looked a lot like this onebut it was uglier. That’s ok though because the kids thought it was cool and they just beat it to death anyway! 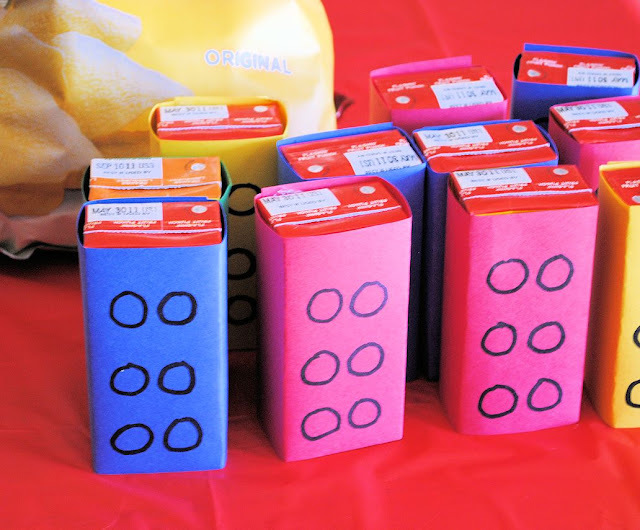 The party was a big hit! Coolest party ever! Love the ideas! I feel a little left out now, since I was not invited! Ha. Very cute. I love the bright colors. Super cute garland too! By the way, found your blog through Sew Sweet Cottage’s Sunshine Award. I am a new follower! And I can’t believe you are still such a new blog! You’re amazing!! WOW that lego cake looks awesome! What a cute idea!! And beautifully done! Great cake…looks like a great party! I will have to save this for a celebration at the end of FIRST Lego League teams next year. Suggestion for making the piñata quickly and easily. Start with a big cereal box. 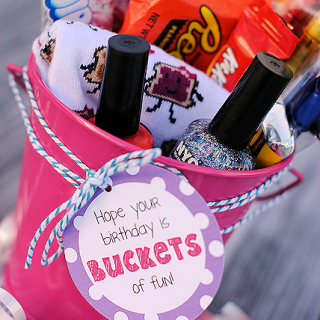 Fill, glue shut, add a hanger, decorate. Wonderful idea and wonderful job! Fantastic! Our Lego party is next Saturday so I’m frantically baking and creating Lego everything. Do you have a link to the bag printable? The thank you for coming to my birthday party one? That would be perfect! SO COOL!!! 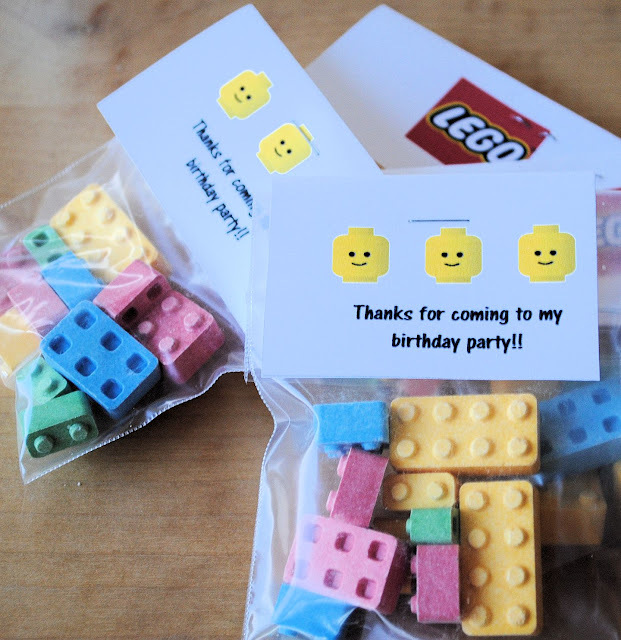 I want a LEGO PARTY too!!!!! awesome party idea.. the cake looks cool and delicious.. thank you for sharing.. Awesome idea. My son loves Legos and would absolutely love to have this as a theme for his birthday. Super CUTE! You just helped me a ton! Thanks so much!! Amazing lego ideas….kids get crazy for lego…thanks for sharing. Love the fork holder! Well done. This has been the most helpful as far as ideas. I have searched all over the web for ideas. My daughter will be 9 in Feb. and wants a Lego Friends party. I can’t wait to try some of these ideas. Thank you so much. 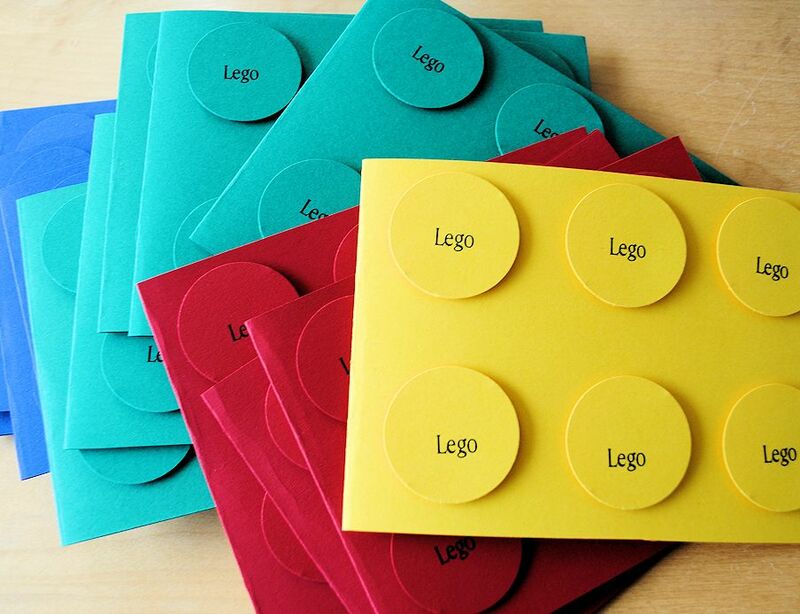 Great post and amazing Lego ideas. Thanks.